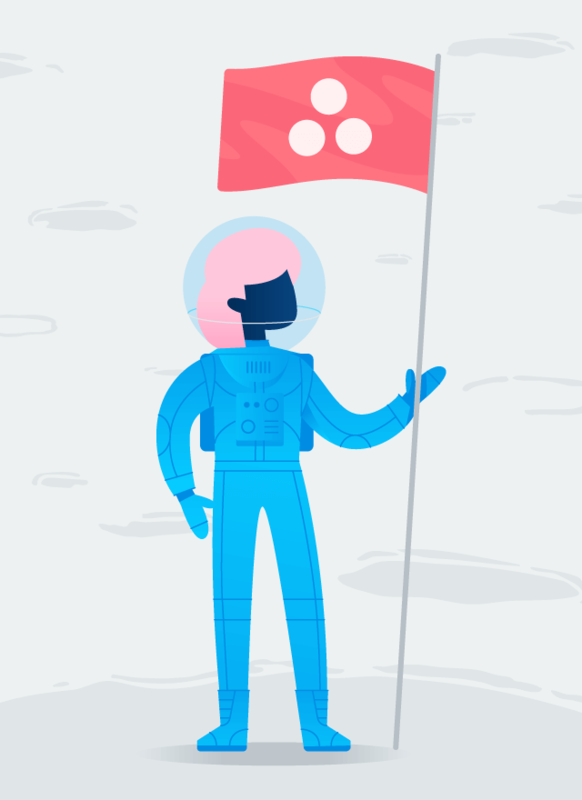 From help desk requests to opening new offices, Asana helps you manage any IT process. You manage the tools your company uses, but what happens when you don’t have the right tool to maintain your own processes and projects? 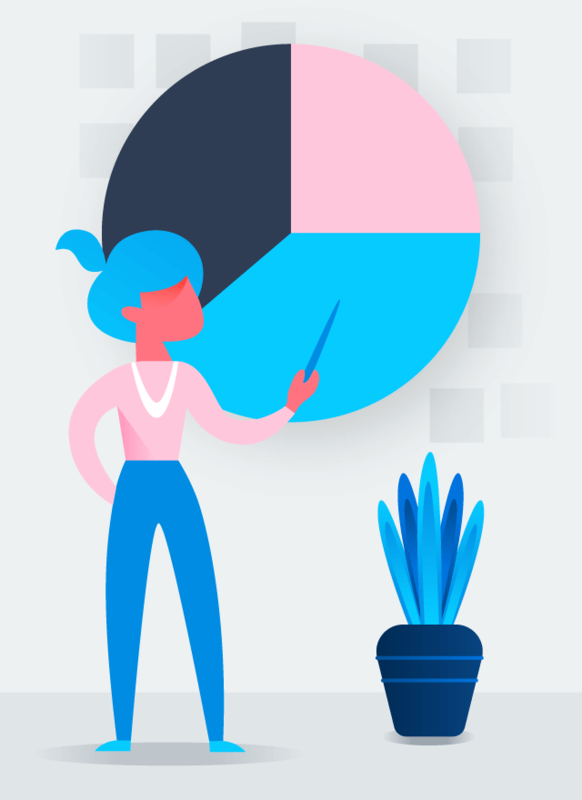 Everybody in your organization has IT needs, so tracking requests can become messy, priorities get misaligned, or work simply falls through the cracks. Without a consistent process to keep track of employees that are coming and going, you can be exposed to security threats and time-consuming inconsistencies. 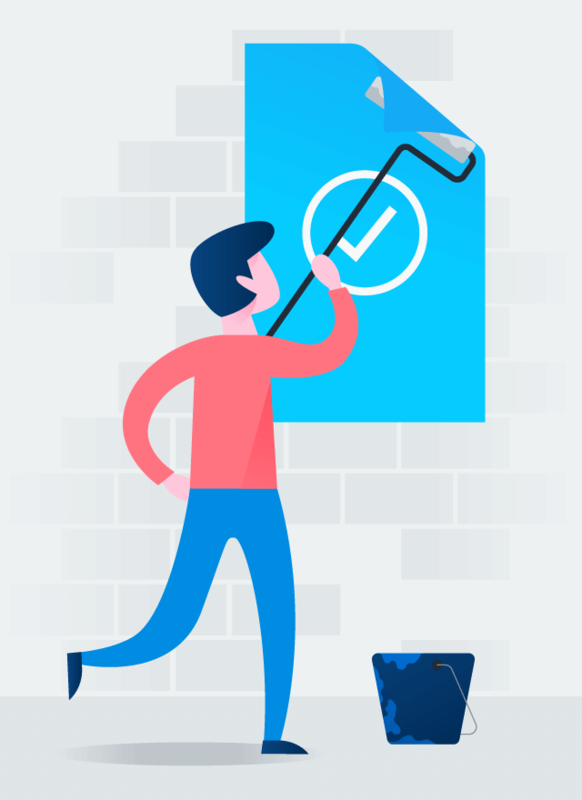 Without a single place to track all the steps from A to Z, rolling out new software or processes for your organization can take longer than it needs to. IT teams need a tool to keep deployments on track (and budget), provide fast support, and cover any emergencies. 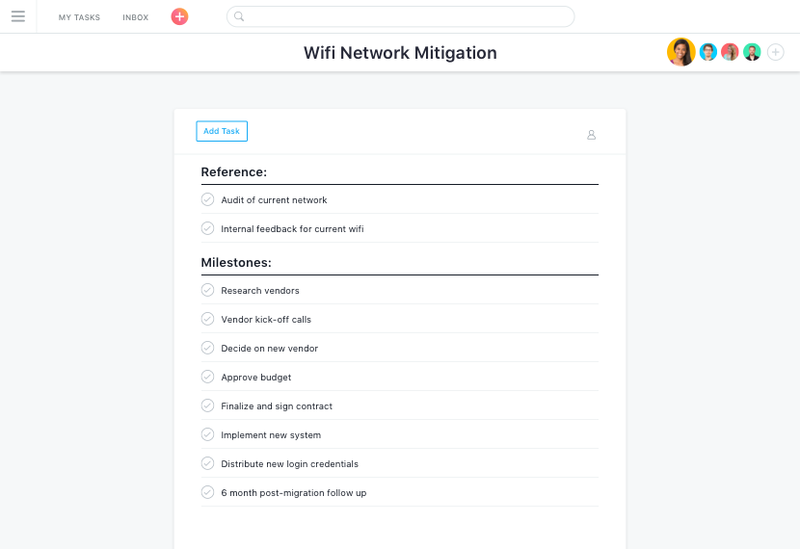 With Asana, you can track and prioritize any work to ensure nothing falls through the cracks. Plan, manage, and track new installations and deployments from start to finish so each step is accounted for, and everyone knows who’s doing what, by when. 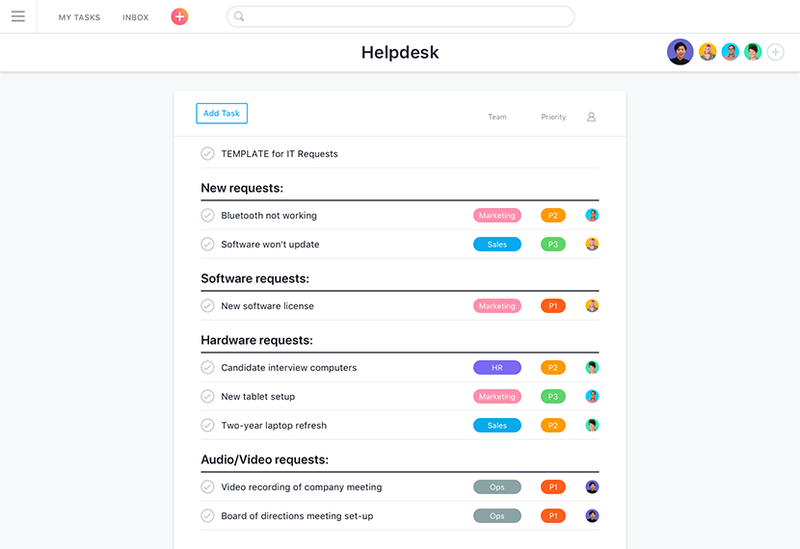 Collect and track IT helpdesk requests in Asana so it’s easy for anyone to report issues, and for your IT team to quickly resolve them. 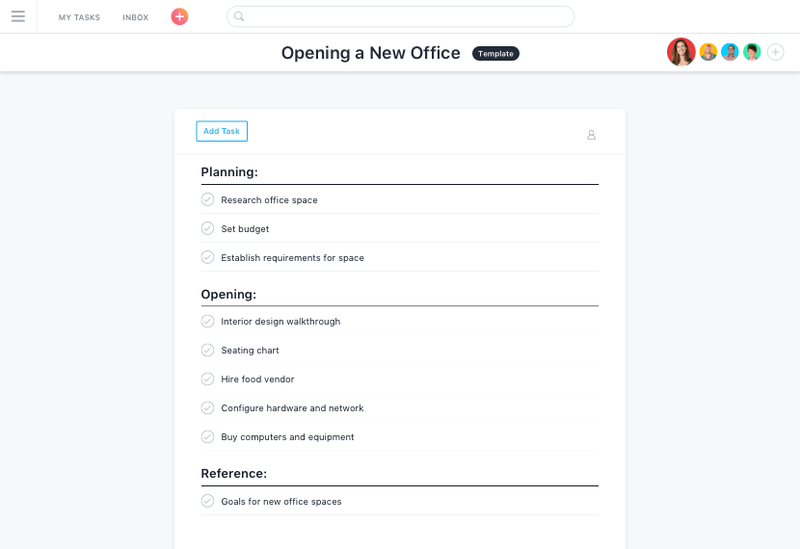 Open and expand new offices with ease—and on schedule—by keeping all teams on the same page and making responsibilities and dependencies clear. 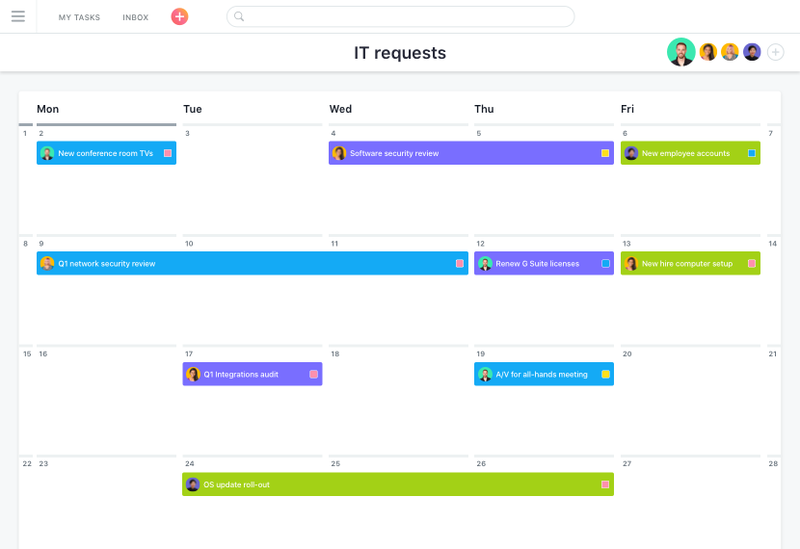 Centralize all IT requests in one place so it’s easy to prioritize and assign work—and your team can get teammates the hardware, software, and tools they need to do their job. Adopting new software is an investment&colon; rolling out new processes to the team, ramp up time, and ensuring that all security needs are met. After the slow adoption of another project collaboration tool, we recently decided to switch to Asana because it’s intuitive, secure, and robust enough for our team to succeed using it. 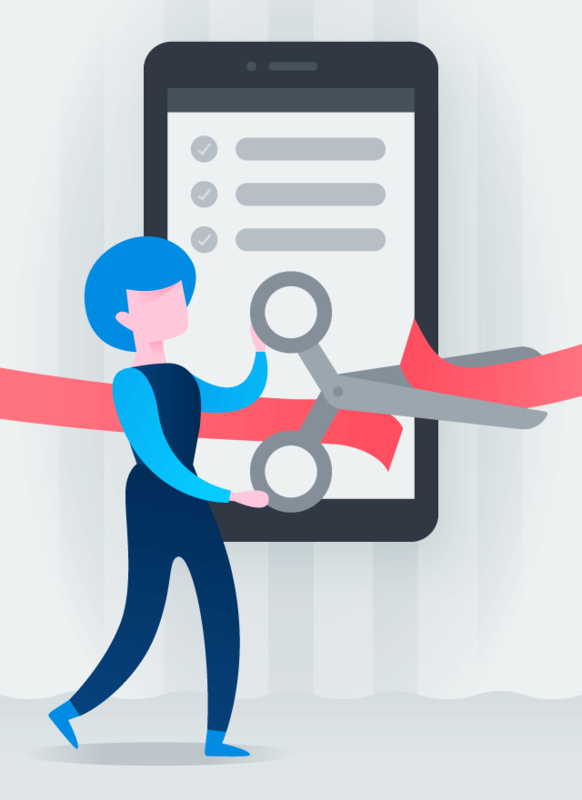 Onboarding our organization onto Asana has been effortless given its superb user experience; it’s as easy as using an iPhone—you can just pick it up and know how to use it. Your teammates already think you’re a wizard—why not prove them right?